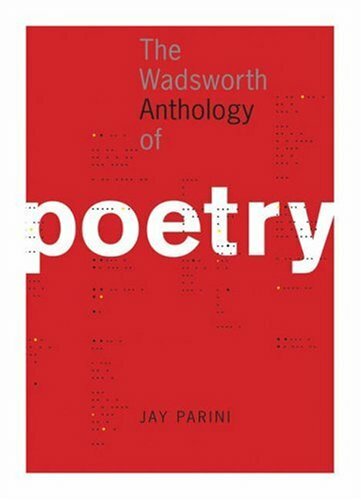 Unlike most other poetry anthologies, arranged only chronologically or limited to the exploration of one type of poem, Jay Parini's WADSWORTH ANTHOLOGY OF POETRY collects 24 smaller, more accessible anthologies in one volume. With the guidance of an editorial board of pre-eminent literary scholars and world-renown poets, Parini has offers a meaningful structure to an ambitious collection, spanning from Beowulf to Jorie Graham. More a teaching and learning text than a definitive body of work, Parini's arrangement of poetry by form, content, and context offers a new way of looking at the teaching of poetry. Jay Parini was born in Pittston, Pennsylvania in 1948. In 1970 he graduated from Lafayette College and he received a doctorate from the University of St. Andrews in 1975. Before becoming a professor of Engliah and Creative Writing at Vermont's Middlebury College in 1982, Parini taught at Dartmouth College. Parini writes poetry, novels, biographies, and criticism, and he has published numerous reviews and essays in major journals and newspapers. He co-founded the New England Review in 1976. In 1995, he was appointed literary executor for author Gore Vidal. A film version of The Last Station, his 1990 novel, was released in 2009.